Saturday 14th we set off for Leicester to attend Glenfield’s party dance with Dianne & Terry Harris area representatives for Somerset & Wiltshire. There was a nice party atmosphere with Mike & Pat introducing some fun dances into the programme. The bring and share supper had produced the usual excellent spread and a large raffle in aid of Help the Heroes. We left Leicester but did not have to travel all the way home because Michelle kindly offered to put the four of us up for the weekend. As we were staying in Lincoln we had taken the opportunity to book tickets for Juro Dancers Christmas dance in Woodmansey Hull. With June & Ron leading, a bucks fizz fountain, live music, beautiful Christmas decorations and a great programme of old time dancing along with spot prizes we enjoyed another afternoon with friends. It was nice to see Philip Randles looking well again and playing some lovely tunes. We managed to get back to Michelle’s village for the carol service which was nice to round the day off. Early Monday morning we were on our way back South to Normandy because we had been invited to Summertime’s Christmas party dance. With a red and green theme and a happy atmosphere we had a great festive afternoon of old time dancing. Richard was on the bottle again not drinking just spinning for the spot prizes and we are now looking forward to their Bournemouth holiday which we know will be another fun packed weekend. Thanks to Terry & Dianne who did all the driving and to everyone who made us welcome making it a lovely weekend. The last day of November Saturday 30th Hazel and I had a trip down to Normandy for Summertime’s Old Time dance. It was very well supported with over 70 attending and excellent music by David Last. Very nice programme of old time and classical, one of our favourite waltz’s was on the programme the Winter Waltz. As usual there was a good friendly atmosphere, Richard & Joyce made it a very enjoyable evening along with the help from the younger leaders Hilary & Nigel. Their next old time dance is on March 15th 2014 with David Last. We are now looking forward to their Bournemouth holiday in January 2014, they have a few rooms left, contact Joyce Hutchins for further information. Eight friends out walking one day had an idea how about a walking break with dancing…. an idea was born. The result was 28 friends booked into a country hotel in Dorset that had a small dance floor that was big enough for us. The Hotel is well known to walkers but not to dancers. We had booked all the rooms and had the hotel to ourselves. The majority of the group arrived for lunch on Monday and then walked through the village to the beach, it was misty the first day but it was very mild for the time of year. We walked along the pebble beach and built a large stone cairn and several small ones to say we had been there. On the Second and third days we awoke to sunshine and clear blue skies (in November ?) The Hotel located on the south west coastal path gave easy access to cliff top walks and groups set out each morning to walk different sections of the coastal path. On Tuesday the biggest group walked from Eype’s Mouth to Seatown on a roller coaster walk ascending and descending the coastal path included climbing to Thorncombe Beacon, it was worth it for the fabulous views. On Wednesday we walked the coastal path to West Bay and then walked on into Bridport for the weekly market. Some of the group who had not wanted to walk had driven to some of the many beauty spots / attractions in the area but on Wednesday afternoon we all agreed to meet at Charmouth Beach for Fossil hunting. There were one or two dubious finds but we had a great deal of fun looking although, as you can imagine, we gained some strange looks from walkers who saw a group of pensioners smashing rocks with everything from lump hammers to toffee hammers. They probably thought it was some kind of therapy session. We danced all three evenings on the dance floor, which was just the right size for our group (28). Large enough for us to dance but small enough to allow an intimate atmosphere. 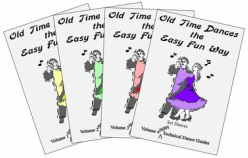 The programmes each evening included at least one set dance and 2 or 3 fun dances, mostly old time, with a few modern sequence and ballroom dances. Sue and Janet danced the Chicago swing and we even had a demonstration of the Argentine Stroll. We also managed to fit in a pantomime and Ken’s story time. On Monday as it was Remembrance Day Dot read a story about the last post, three tenors (better known as the three five bobs) made an appearance, during the holiday, to sing Doris Day, Secret Love. Sue wrote a poem, (see below) for the last evening, about the holiday. The only sad part about the break was, due to the sunshine, Margaret as, “Wet Weather Entertainments Manager”, had to be paid off due to the sunshine. In quieter times during the day Oxford and Leicester had a card game running and there were practice sessions for dances like the Blaydon Races and Chapeloise or better known as Gay Gordons Margaret Style. The Hotel accommodation with its excellent selection of rooms, the location, good food, brilliant weather, the walking, dancing and banter all combined to make it a brilliant break. Saturday using a variety of musicians and music including some traditional tunes, some more up to date tunes and of course some sing-a-long tunes. Those attending told us they thoroughly enjoyed our music and dance programme. We included the Winter Waltz a particular favourite of ours and although it was one of the newer dances seemed to be enjoyed by a great many dancers on the night. We managed to get out and about at Eastbourne and enjoyed the area including the marina, shopping and Beachy head, although we went there on Sunday when the storm was building up and we had a job to stand up. August dance was well supported with 44 attending even though it was another very hot evening. It was nice to have some visitors with us including some who stayed for the weekend. The dance programme included a Polka and Mazurka which everybody joined in with, also on the programme some newer dances Shimmering Waltz, Let’s Swing and traditional favourites Classic Gavotte and Saunter Reve. Home for a few days and we were back up the motorway to Lincoln to Michelle Body’s dance in Swinderby. Another full house with a fantastic atmosphere, a good programme of old time dances, including a few newer ones. Michelle produced her usual excellent two course supper including lots of strawberries and never ending jugs of pimms. We stayed with Michelle and travelled on Sunday with her other house guests to Elland for the afternoon dance with Kath and Keith Jackson. Another great afternoon of old time dancing, Kath introduced us to an “old”, old time dance the Quaker Waltz a pretty dance that we would like to introduce at Bath. It was a little overcast on the Friday as we made our way to Weston-Super-Mare for the Ball of the Year weekend, only an hour travelling for us this time. As members arrived throughout the day there were discussions on who had followed their “sat nav” and come off the M5 at jct. 21 and had a precarious journey through very narrow lanes and those who had followed the travel information they were provided with and came off at jct. 22. The Webbington Hotel & Spa was our base for the weekend and members set out over the weekend to explore the area enjoying visits to Wells, Glastonbury, Street, Cheddar and the coastal locations in the area. There was a little hiccup with breakfast on the first morning when we all turned up for breakfast together (108). I had warned them this would happen but they thought we would come in gradually, after a few chosen words things were sorted for the following morning. The accommodation, food and service were very good and the staff, were very helpful. Our main objective for the weekend was dancing and the ballroom at the Winter Gardens did not disappoint. It was good to have such a large group of dancers from Bath and surrounding areas attend the Ball. There were 170 dancers on Friday and Sunday with a 190 on Saturday. Peter & Marjorie Bowler provided an excellent programme to start the weekend, unfortunately the start had to be delayed by about 10 minutes because of a local school prom. The youngsters turned up in limousines, fire engines and lorries and with only a small access road, they caused havoc on the promenade and our coaches were stuck in the traffic. The Saturday Ball was led by Sue Bourroughs and Andrew Davies, it was an honour to have them as leaders for the Old Time Dance Society and a joy to watch. Robert & Christine Haywood created a brilliant atmosphere with their fabulous leading to close the weekend. The superb music of David Ingley combined with the leaders programmes created an excellent weekend of old time dancing. At the beginning of May we had our friends Grahame & Bernice from Burnley staying with us, we showed them around the local area and travelled to Keynsham, Portishead, Weston-Super-Mare and Hemel Hempstead. We started their visit with dancing at the Keynsham club with leaders Des & Doreen Derrick. The following day with the sun shining we took them on a tour of the City of Bath. On Thursday the good weather continued and after a lunch with Dianne & Terry at their home in Portishead we all went to Weston-Super-Mare for an organ concert by Elizabeth Harrison, who will be playing for the Old Time Dance Society in 2015. We all enjoyed a cream tea on the seafront prior to the concert. On Friday morning we visited the National Trust property, Prior Park, beautiful 18th century landscape gardens. In the evening Grahame & Bernice joined Bath Old Time Dancers for our monthly dance which was well supported with 38 dancers. Their visit ended at Hemel Hemstead for Brian Faulkner’s dance at Adeyfield. The last Friday of April 2013 we visited Dorchester and paid a visit to Brian Webber’s dance in the boy’s Brigade Hall. We were made very welcome and it was good to see a large group of dancers enjoying old time. We were not the only visitors that evening, are friends Terry & Dianne met us there on their way home from holiday and it was nice to catch up with Michael Mann and his partner Betty who were also holidaying in the area. Michael is one of the founder members of the Old Time Dance Society and it was interesting to talk to him. Thanks to Brian and everyone for an enjoyable evening including the usual fun. In March 2013 we had a weekend staying with our friend Michelle in Lincoln and enjoyed dances at Leicester and Sheffield. On the Saturday night we danced with Mike & Pat Cooper at Leicester Glenfield where they went over the Manhatten Tango ready for the Ball of the Year in Weston-Super-Mare (Peter & Marjorie Bowler's Friday night programme). Also the Dolly Weaver, which is on Keith & Kath Jackson's Sunday night programme at the Spring weekend Harrogate. On Sunday afternoon we paid our first visit to Precious Dancers, Sheffield, leaders Grace & Arnold Precious. It was a very friendly afternoon in a lovely venue with a nice dance floor. We braved the snow on Monday morning for a walk through the village to Michelle's local church for the coffee morning, when we went to leave the church there was a blizzard blowing and we thought we would be marooned but luckily it soon cleared. On our return journey home later that day we drove through sun, sleet, fog and snow.